Today the little guy and I had a few missions: 1) shop for a microwave and a toaster oven (there is no oven or microwave at our new place), and 2) find a passport holder for his 2 passports. Fortunately, my wife works at Lai Chi Kok, which is one stop on the red line from Sham Shui Po, where the best electronics market is (and I assumed that meant a good place to go for appliances, too). So, after lunch in the park, with the little guy strapped into the Baby Björn, it was time to go shopping. We walked over on some side streets and I found some random markets and cool places and I want to go back to (one place is a restaurant called “A Little Bit“). Along the way, we stopped at McDonald’s and I had a Green Tea Ice Cream Cone, and then noticed next door was a shop selling outdoor gear at really good prices. I quickly concluded they must be well-done knockoffs – for example a Haglöfs waterproof jacket with taped seams for 150 HKD (about 160 SEK or 19 USD) was a great deal – too good to be true. I didn’t buy anything but I think visitors might find that place interesting. 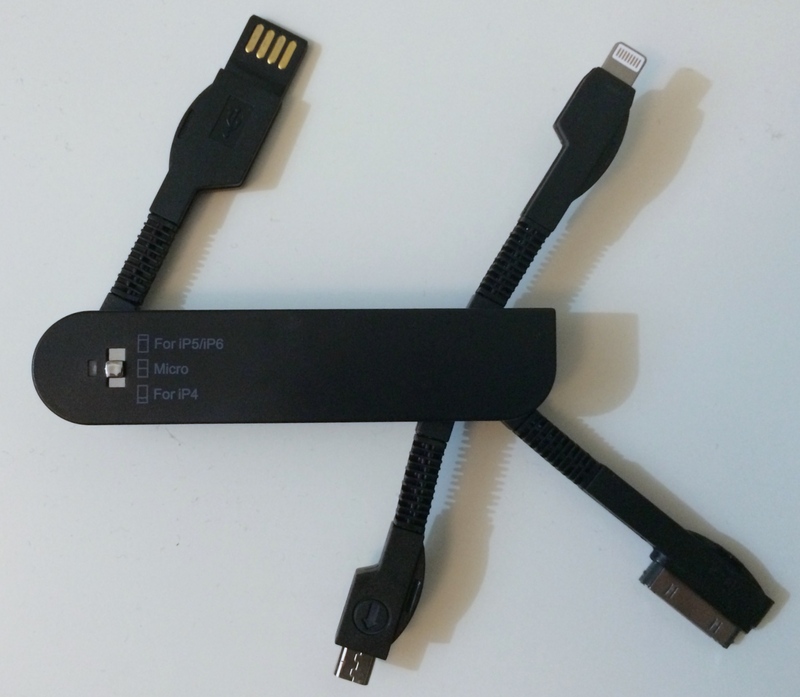 and my favorite weird thing: a multi-usb-tool that looks like a jackknife (see photo) for 25 HKD (28 sek, 3,25 USD). A marvel of technology: usb to connect to iphone 5/6, older iphone connection, and mini-usb for non-apple products. Amazing. The little guy and I left with pure joy in our hearts (actually he slept thru the whole experience, but we would have been pumped, I’m sure). Could the afternoon get any better? We ended up at the market looking at baby clothes and found some good options but did not buy anything (my wife is a bit picky about what we put on him, and has already expressed a genuine lack of enthusiasm for the tacky kids clothes at the markets). After realizing this is not the place to go for appliances, we I started looking for item #2, the passport holder. After searching at a bunch of stands at the market, as well as shops, it became apparent that there is not a big market for passport holders in Hong Kong. What I did find, as a lucky byproduct of my search, was a new bag for our stroller or other daytrips (but obviously not to replace the fanny pack). The one we have is a really nice StorkSak, made of leather, high quality and so on – but it is heavy. So I wanted one that is lighter and can also be taken off and used if we’d like. I didn’t want to spend a lot, and it was not a top priority to find one, but if the right thing came around, I would go for it. And it did. I found a little shop selling these bags by a brand called Doughnut. Super cool backpacks and other bags, and then on sale in the corner was the bag we needed. And it was on sale for only 170 HKD (180 SEK, 20 USD). It’s a perfect match of everything I am looking for, with good quality, leather straps that will only get cooler looking over time, and much more. Lots to be excited about with this bag. look at that beauty. people are going to be so jealous.